Jewellery can equally be seen as fashion, adornment, a way to denote status and wealth, personal beliefs, or to mark cultural events. Recent theorists have argued that humanity has always been conscious of the body and adornment, and speculate that even in prehistoric times, body painting and jewellery, in the form of stones, shells, teeth and feathers, were used to beautify – or possibly to ward off evil, or otherwise as a mark of social rank. Even animals have been seen to use feathers and bright materials to decorate their surroundings. Beautiful materials, notably precious metals and stones, have been an intrinsic part of humanity since the dawn of time. And nothing has come closer to embodying this lust for status and beauty, than the diamond. The earliest citation of diamonds is in the 'Arthasastra' (“The Lesson of Profit”) a Sanskrit manuscript. During this period, (320-296 BCE) rough diamonds were often kept and regarded as talismans, though sometimes natural diamonds were placed in rings. Alexander the Great is heralded as the first person to import diamonds to Europe (327 BCE). An enduring tradition began when Maximilian, Archduke of Austria, presented Mary of Burgundy with a diamond ring to mark their engagement. Resisting corrosion, diamonds stood for the fortitude of a lifelong partnership. The engagement ring had existed since Roman times, but had previously been a simple iron band. The 5th Century Roman writer Macrobius records that this ring was worn on the fourth finger as it was believed that the vein there flowed directly to one’s heart. And it was of course in 1948 that a copywriter at the N.W. Ayer Advertising Agency created the unforgettable slogan, "A Diamond is Forever", which has since come to define diamonds generally, and cement the modern notion that diamonds signify the ultimate and most serious of gifts. 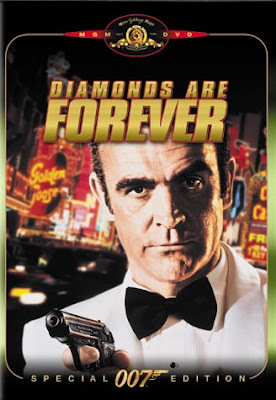 Hollywood films promote the glamour of diamonds. Initially, jewellery was ritualised, worn to protect the wearer and buried with them as precious aids to carry into the afterlife. Steadily, jewellery became prized for its own sake. Within medieval times, jewellery was worn to celebrate Christian themes, but also to boldly advertise the wearer’s social rank. The jewellery still retained its protective and magical power, and was made up of precious gemstones which were polished not cut, and precious metals painted with enamel, as colour was the most important element. By Elizabethan times, engraving and enamel became more complex, and began to incorporate portraiture as a mark of individuality. Precious stones were believed to have healing powers, and were tailored to the wearer’s needs. Garnet for instance was thought to strengthen the heart. As international trade increased, the availability of gemstones was greater and cutting techniques improved, to ensure gems sparkled even in dim lighting. Diamonds sparkled more than ever before and inevitably came to dominate jewellery designs by the late-1700s. Diamonds were celebrated in many 19th Century pieces, as jewellery took its cue away from the industrial revolution, which showed an increase in urban life, and instead looked to the past: to romantic notions of purity, floral designs or classical inspired motifs. Perhaps spurred on by the sudden archaeological finds of the time, there was a trend for jewellery modelled on ancient styles. As the century progressed, jewellery became more mainstream and less elitist as the Middle Class was born. From 1850 machine made jewellery became common, and although not mass produced, it heralded the future of jewellery. This in turn caused its own reaction, as artistic purists rejected the trend for machine made pieces, and instead crafted individual creations with deliberately hand assembled stones. The fusion of art and materials came to a head with the Art Nouveau movement, where colour and design were favoured above the ostentation of dazzling precious stones. Glass and enamel were used in conjunction with precious diamonds and gold, causing a radical shift in the way jewellery was appreciated. Art Deco design built on this, with styles becoming even more modern, with daring angular shapes and witty juxtaposition of gemstones. Nowadays there are many modern techniques, using new man-made materials, but the attraction to the diamond has never been muted and shows no sign of abating. Whether flaunted by rappers and actresses at Red Carpet events, or worn by the masses within a small engagement ring, the diamond has proven to be a timeless and endlessly desirable stone. 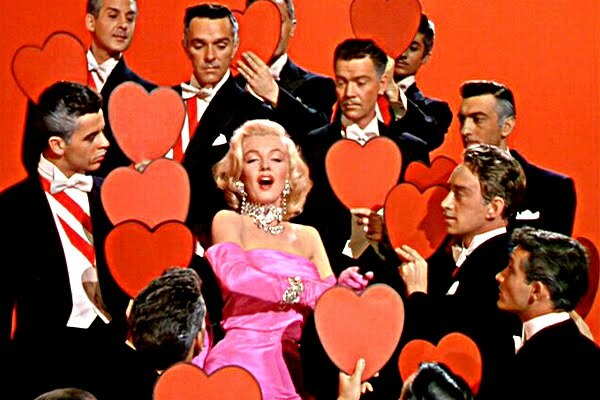 Picture credits: 'Gentlemen Prefer Blondes', 20th Century Fox 1953; 'Diamonds are Forever', United Artists 1971; Engagement ring by Abazias. I have read your post it is like just like that for which i was looking for. Very nice... This is true that Jewelry is one of the way to express our feelings for my loved. it can be the wonderful gift for the valentine or any special day and liked by the most of the girls. You can celebrate your beloved with a symbol of spiritual and emotional and intellectual love with our diamond jewelry and heart shaped pendant with white gold and chain.